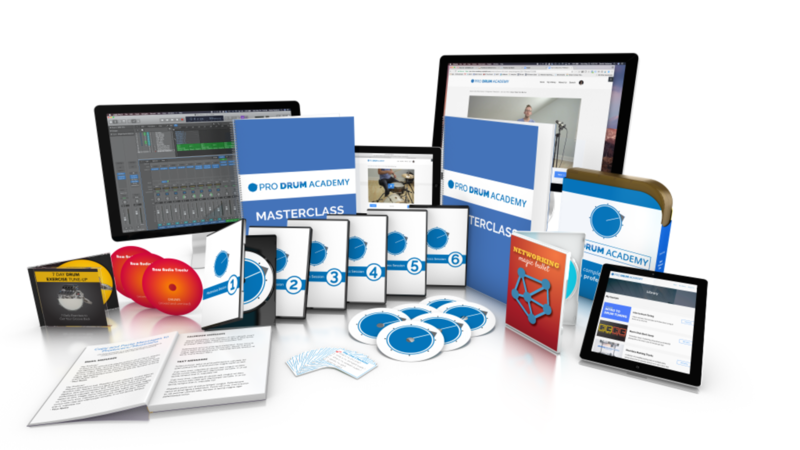 6 weeks of video training that will guide you down the EXACT PATH hundreds of others have already traveled to becoming a professional drummer. That's a total VALUE of almost $7,000. But you don't need to pay $7,000. Everything you see listed - a $6,923 value - for only $1,997. Everything you see listed - a $6,923 value - for only 12 payments of $227. Everything you see listed - a $6,923 value - for only two payments of $497. © 2019 Hadaway Creative, Inc.